There are numerous ways to give to the Psychiatric Research Institute’s Division of Child and Adolescent Psychiatry. Your gift to the Psychiatric Research Institute helps to ensure excellence in clinical care, innovation in education and cutting-edge research. Donations can be made online, by contacting Betty Tucker, Senior Director of Development at 501-526-8134 or batucker@uams.edu or by sending a check to the Psychiatric Research Institute, 4301 W. Markham St., #554, Little Rock, AR 72205-1799. The Director’s Club is an annual giving society established to support and promote the Psychiatric Research Institute (PRI) mission of improving mental health for individuals in Arkansas and beyond through the integration of outstanding education, research, clinical care and service. Membership dues are assessed annually and provide discretionary funds for the Director to use in RECRUITING, RETAINING and RE-ENERGIZING FACULTY. Having the financial flexibility to host recruitment events and programs at psychiatric conferences, provide special recognition to clinicians or make interim funding available for promising researchers is ESSENTIAL for attracting and retaining talented staff. Director’s Club dues provide the resources for these and other purposes which strengthen our programs. Be the first to know about new developments at PRI. Twice a year you will be invited to attend a dinner and presentation on a topic of interest related to mental health. Becoming a Director’s Club member is easy and your annual donation is 100% tax-deductible. To learn more about the Director’s Club and becoming a member, please contact Betty Tucker at 501-526-8134 or by e-mail at batucker@uams.edu or Cary Wilson at 501-526-8166 or by e-mail at CCWilson2@uams.edu. An endowed chair is a permanent, self-sustaining source of funding. Endowment assets are invested. Each year, a portion of the value of the fund is paid out to support the fund’s purpose, and any earnings in excess of this distribution are used to build the fund’s market value. In this way, an endowment can grow and provide support for its designated purpose in perpetuity. An endowed chair is established with gifts of at least $1 million. 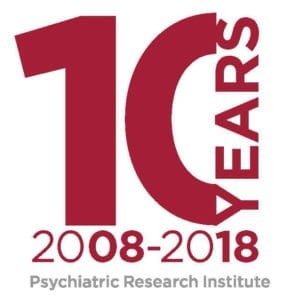 You can assure your legacy lasts beyond your lifetime and you can help secure the long-term financial health of the Psychiatric Research Institute (PRI) through a planned gift. Planned gifts are gifts that will benefit PRI in the future over a period of time. A planned gift helps a donor design a charitable gift plan that will benefit PRI and allow for the fulfillment of personal financial goals. A few examples of planned gifts include appreciated securities, a bequests and gifts of stock. Please know that there are many other ways to make a planned gift to PRI and we recommend scheduling a private consultation to discuss your options. If you are considering a planned gift, we recommend you do so in consultation with your financial planner and/or legal counsel.